You may find some of these to be much harder than the ZWOW’s. Anything in the ZVault will not have a real time workout included, simply a demonstration of the exercises and some quick shots of Z doing the actual workout. You’ll also find that she uses different equipment. Were these really harder than ZWOWs? I used to do them. Sheesh, now I feel out of shape, hehe. Thanks so much for creating this!!!! Marla, I haven’t been to your site in so long regretfully. I have been missing out on the ZVault. I have all the equipment from BodyRock and haven’t been using it much because I stopped following their new site when he started bashing Zuzka. Thanks for putting these old workouts in a nice neat list of links that are so easy to access. 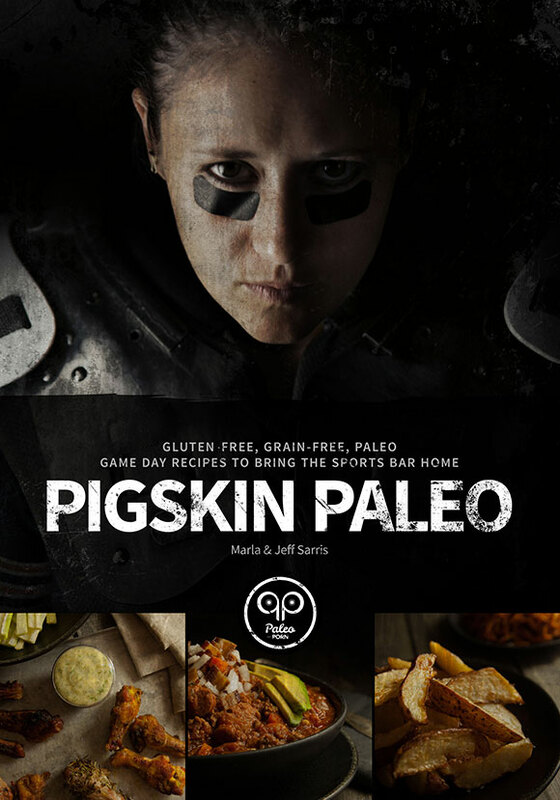 Oh, and I gotta have you Pigskin Paleo cookbook. I’m a football freak and need new recipes that don’t have so much corn, wheat, dairy, etc. Does it come in an ebook? Great great GREAT idea for easy access to zuzkas workouts. Please upload more in the zvault list. I am not liking the five min workouts at all. They seem to be breaking the drive and stamina for the longer and real workouts zuzka used to have for us. This is rad! Thanks a million for putting this together. I noticed that Zuzka has been posting 5 minute workouts recently. Is there, by any chance, a possibility that you can list them like you did the ZWOWs? I think she’s at number 19 now. I’ve recently noticed that the BodyRock.tv site no longer has the original videos prior to 12/2/2010. I know that I’ve found them dating back to 10/09, in the past. Seems like each year the New BodyRock People decide to delete an entire year of the original workouts. Makes me really sad. I wish you had captured more of the original ones here. One day this may be the only place that we can find them. I had written Freddie an email about locating the original BodyRock workouts. He sent back a 6 word reply, “Those workouts are no longer available.”. So just a heads up that he’s in delete mode. If you don’t have the original BodyRock workouts from 12/2/2010 until 10/14/11, you might want to secure them for your site now. Does anyone remember when BodyRock first started? What was the date of their very first post? It makes me so sad that people can persist in ways that are so very, very small. The workouts in the ZVault were all linked to the videos on YouTube, just like with Z’s ZWOW videos posted by Watch It Now. Looks like all of them have been unpublished by Freddie, which you’re right, is sad. Especially if his goal is to have people working out and becoming more healthy. But, those videos are their property so they can do with them what they like. I’ll have to rethink the structure of this site now that everyone has removed their videos. :/ Props to you for messaging Freddie! hey there! I am looking into working out again but I was wondering if doing her workouts will make me lose weight….I used to do her workouts before but I wasn’t following a meal plan so I started to lose weight and I became rather unhealthy so I stopped working out in general. I am now on a meal plan and taking supplements (after two years!) but her workouts are intense and my goal is to gain muscle weight so I don’t want to do them if they will make me lose weight. What say you?? So, what’s the word on your site? The majority of the videos show an error “Sign in to view”. Where would we sign in? Are the videos available anymore at all? Is this site still functioning? Unfortunately Zuzka had to take down most of the free videos due to her leaving the company she was working with. She is slowly redoing the ZWOW’s so I’m updating as she goes. I’ve found that if you search on YouTube you can find some of the workouts posted by other users and even if you search the moves, you can find them as well. You can access everything on her website for a fee at http://zuzkalight.com/ That would be the only place you’d need to sign in.